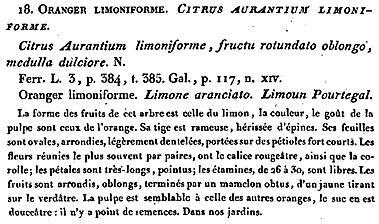 Many years ago I was given budwood of 'Arancio in Limone'. 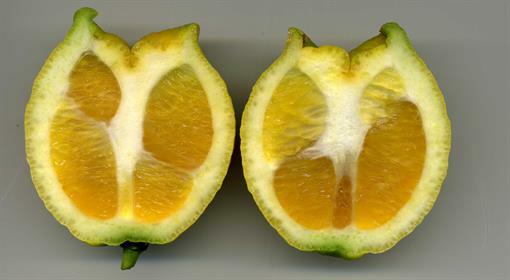 I believe this is the variety now sold by Tintori as 'Limone Aranciata', although they also have one called 'Limone Aranciata Chimera'. 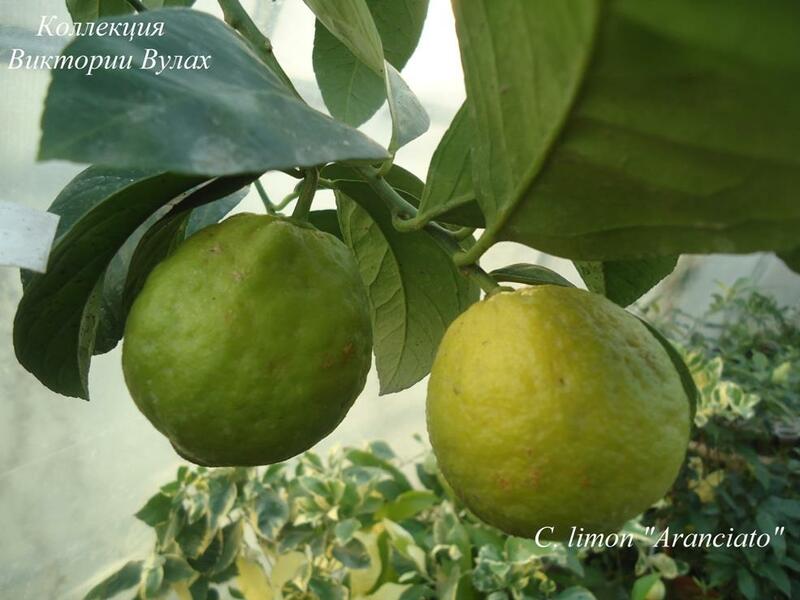 Tintori does not provide photos of these lemons, but the Russian website Suncitrus does. I reproduce their photos here to compare the varieties. You will see that Aranciato produces almost spherical fruit, while the Chimera Aranciato forms two types of longer fruit - one with a pronounced neck. My 'Arancio in Limone' matches the non-chimera variety. My 'Arancio in Limone' has yellow skinned fruit with pale-orange flesh which is certainly more like that of an orange than a lemon. 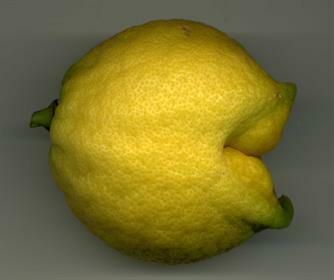 In my cool climate, the flesh is not exactly sweet but has nowhere near the acidity of a lemon. 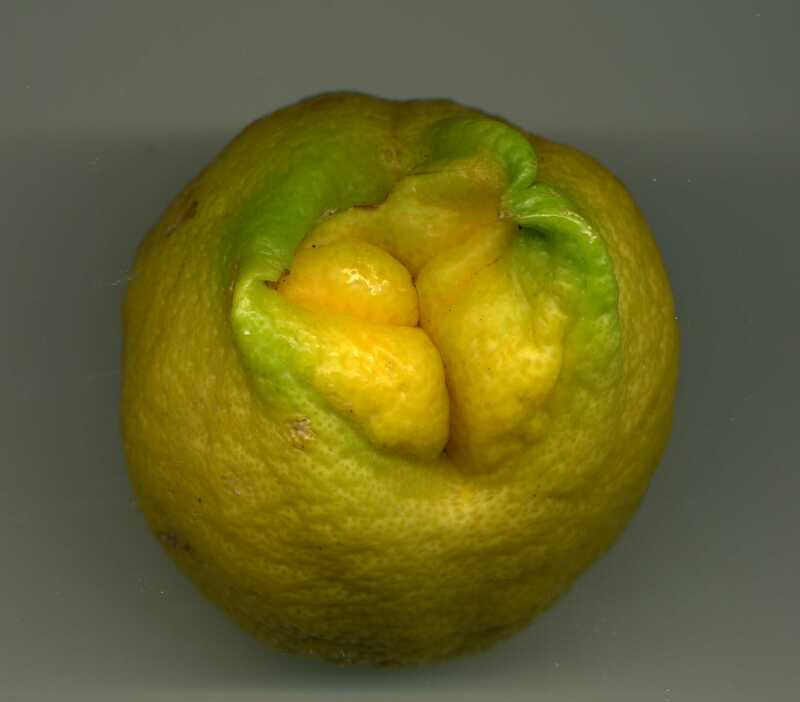 I initially thought that this was simply an unusual lemon variety. However, in 2014 one fruit was formed which strongly suggested that this variety is also a chimera. The fruit was the usual pale yellow, but with a definitely more orange section bursting out - in reality the colour differences were more obvious than the photos below suggest. The skin of the yellow section had the aroma of lemon; the orange coloured section smelled solely of orange. In 2015, a young leafy shoot has confirmed that this variety is also a chimera. 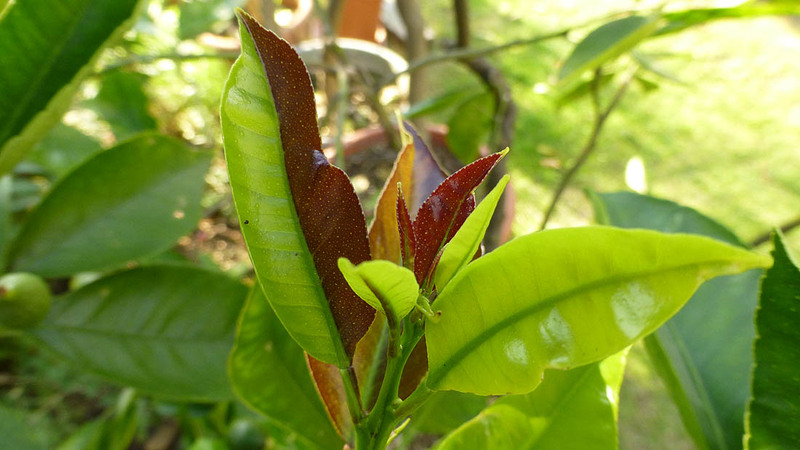 Usually - unlike most lemon varieties - new growth is green. But parts of this shoot were strongly purple coloured, with one leaf clearly split into two distinct halves. 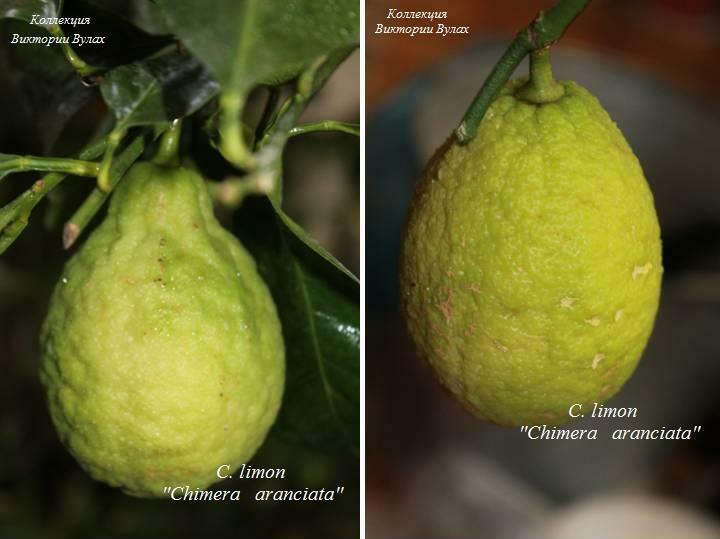 CONCLUSION: This variety is a Lemon + Orange chimera.